We had a great trip from Lyon to Marseille, passing through Cevennes Mountains. I would like to share my first recumbent experiences with you. For inspiration, information and to share this happiness with people who want to do the same. 25 years ago I also had fun riding the bike along pretty long distances. Recently I decided to make that same bike roadworthy again, this time for commuting. 15 km one way, with the feeling of past times in my head, I started enthusiastically. In a little more than half an hour I was there. What a great feeling to arrive on your bicycle! However, it was quite an exercise and at 20 degrees centigrade there was certainly sweating. And by the way: also pain in my neck. You just forget about these things. So, I wanted speed, without sweating. 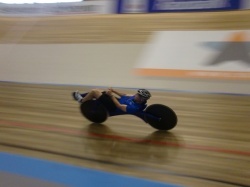 To preserve the experience of cycling I first considered a fully faired racing trike! But after many evenings of googling, talking to people and getting information at shops I ended up at M5. The M-Racer with two 28 inch wheels suited my wishes best: speed at straight parts, with minimum effort. Although I wanted to make a decision after the winter, I thought it was okay to make a test ride. After riding around Middelburg and neighbourhood for an afternoon everything became clear. I waited for three more weeks but then I ordered a Cr-Mo M-Racer! Obviously you collect a bike by going there by bike. 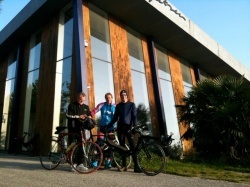 So I invited two friends with ordinary racing bikes to accompany me on the 150 km ride home. We like a challenge. 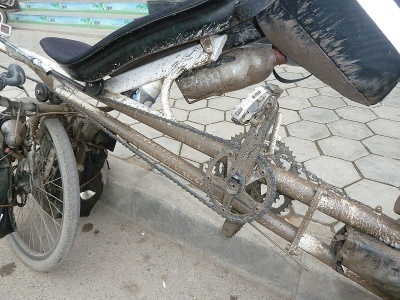 During the trip the advantages of my racer became apparent. 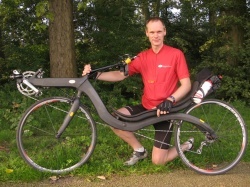 The recumbent position on the bike was something I immediately liked a lot. Comfortable, for the whole 150 km! Lovely. Even with the problems you encounter as a beginner I already had much more speed than my poor friends. I could hardly believe it. A feeling of control wasn't there immediately, but by now I have commuted for a week to work and I dare to corner square angled bike paths while lying down. The more you ride it, the more you relax, enjoy the ride and develop speed. I still have doubts on the claim that it only rains 7% of the time if you ride daily, but up till now I can only observe that it is correct! And an extra set of dry cloths at work solves that problem too. Didn't need them up till now. I rediscovered cycling, thanks to my new machine. With more then 400.000 subscribers, with most of them working in the engineering scene, we felt quite honored to be elected for a an interview.So soon coming on this site and on the IEEE site: the interview with M5 about all the ins and outs of M5. New demountable rear carriers almost finished! glass bead blasting and anodised. frame. The carrier plate and the stems are glass bead blasting prior to the anodizing. The twisted / milled adapter is gloss anodized. 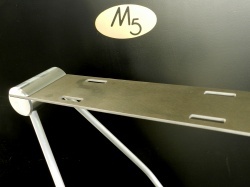 Due to a course the M5 shop will be closed on november 29. Photo below: W. SchermerDuring one hour record attempts at Omnisport in Apeldoorn, the brand new carbon bike Moekkôkèn (Dutch dialect for "Want to have one too") was first ridden by builder and rider Bram Moens from M5. Conclusion: The bike is incredibly efficient (read: "fast"), but the propulsion was not working at maximum power output... In itself that's not surprising given the short run-up period. Barely five weeks ago Bram decided to establish a dual purpose: a) The fastest possible bike, based on a two-year old drawing. b) Start training for the first time in five years. You may have already checked out the finish times of the contesters, but the results are spectacular. 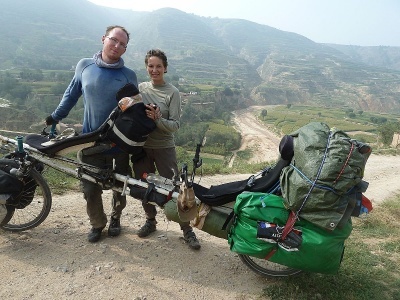 Robert Carlier did the 1230 km in exactly 53 hours, meaning an average of 23,2 km/h, every single hour! Peter Rijk (74 hours, 13 minutes), Andrew Heard (Australia) 83 uur and 25 minuten and Rob Stricker (89 hours, 37 minutes) set another pair of good finishes. 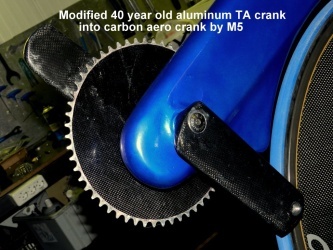 Also good news: Andreas Koerner (45), one of the many German clients with an M5 Carbon High Racer (with tail fairing) has set the yet fastest time with 52 hours and 39 minutes. With 25000 km per year, Andreas can be considered an M5 rider that covers a rather large distance over the years. The result was that Andreas and also Robert proved to be faster with their unfaired bikes, than Hans Wessels, who was riding a Quest! 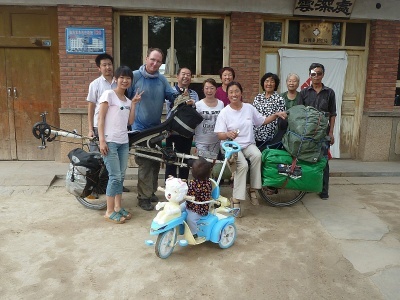 Jaap Bouman also had to stop after 760 km, because his scheme was no longer feasible. 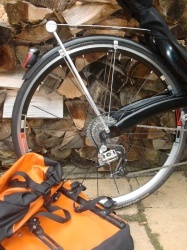 Paris-Brest-Paris 2011 is almost here!